Love coffee cake? How about coffee cake made with sour cream? 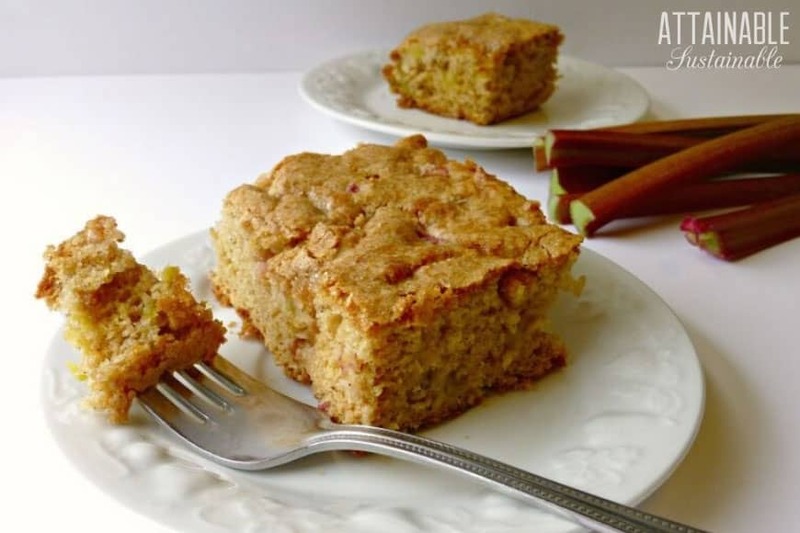 This rhubarb coffee cake recipe is brought to you by Jessica at Simply Healthy Home, and you’re gonna love it! After a long Michigan winter we get desperate for the warmer weather, grass, and fresh produce of spring. One of the first crops that comes up in my garden is rhubarb. I anxiously wait for those shoots to pop up. When they do, I know garden season has begun for me. I was excited to get rhubarb plants in the ground when we first moved here. It was the first edible crop we put in the ground. However, I didn’t really think beyond growing it. 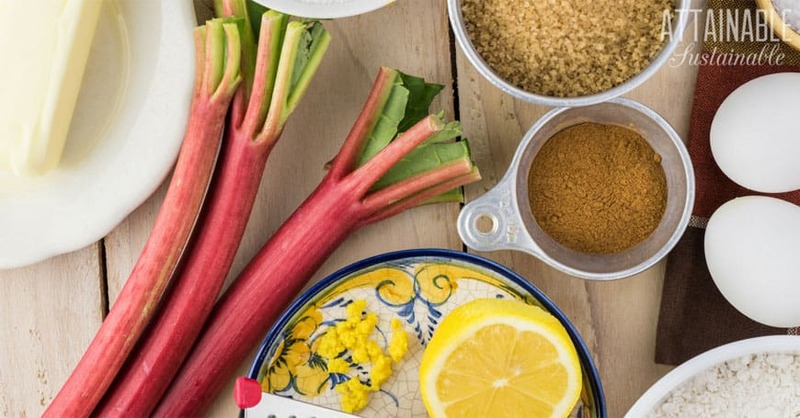 When a rhubarb plant begins producing, there is a lot of rhubarb available for recipes! With a bunch of rhubarb plants producing, I didn’t know what to do with it outside of rhubarb pie and rhubarb jam. (You can only eat so much rhubarb pie!) With an abundant crop of rhubarb, I started experimenting. 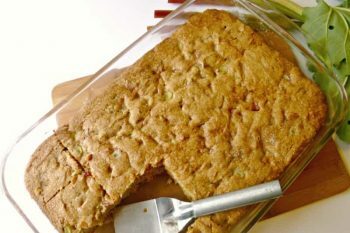 So far, this rhubarb coffee cake recipe is my favorite! This cake is my go-to spring dessert for potlucks. When I take it to family events, I always come home with an empty pan. That’s the ultimate compliment for a baker! What I love about this coffee cake is that it isn’t fussy and is quite easy to throw together. I’m a big fan of food being good and simple. 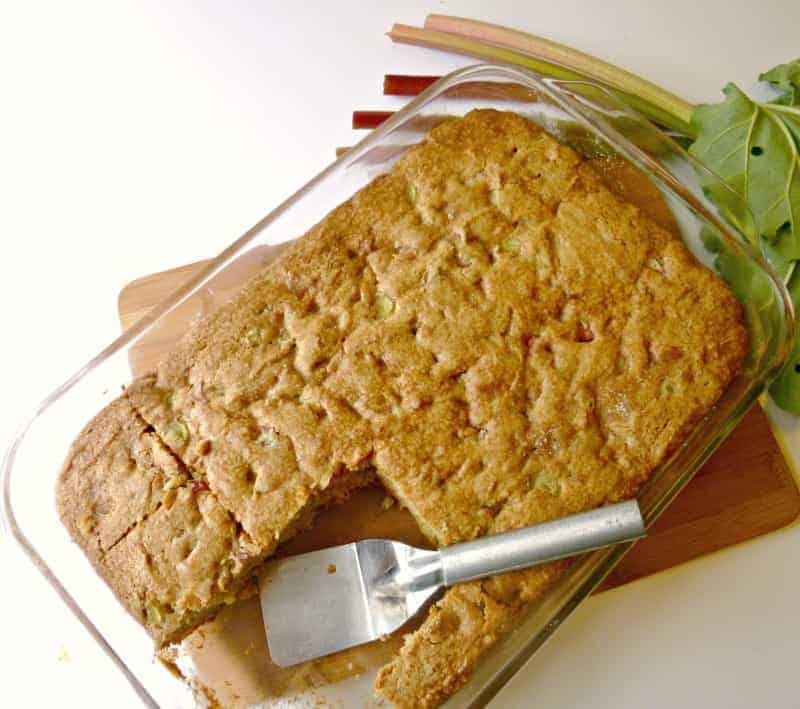 You don’t need complicated recipes that involve hours in the kitchen to make a good dish, and this rhubarb coffee cake recipe is a good example of that. 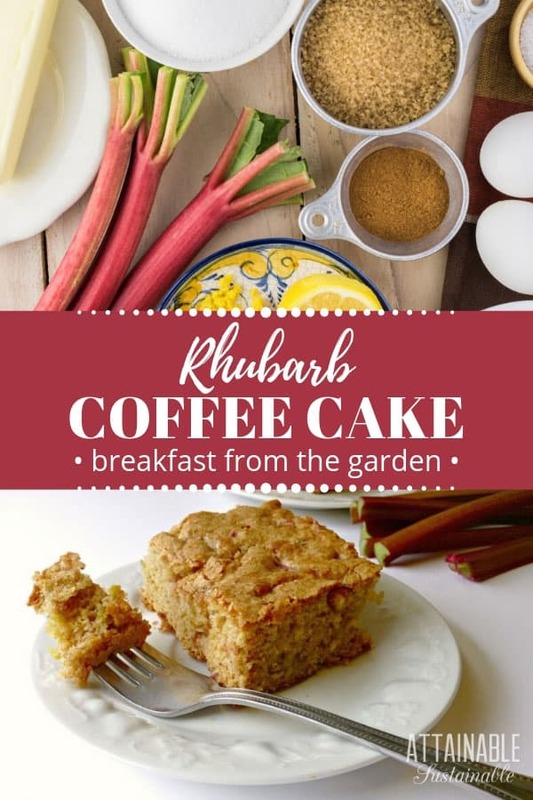 ★ Did you make this rhubarb coffee cake recipe? Don’t forget to give it a star rating below! Rhubarb keeps this cake super moist. Perfect for a festive brunch. Grease and flour a 9" X 13" baking dish. Preheat oven to 350 F. Mix together flour, baking soda, cinnamon and salt. In a separate bowl, cream together butter, sugar, vanilla, lemon zest, and the egg until creamy. 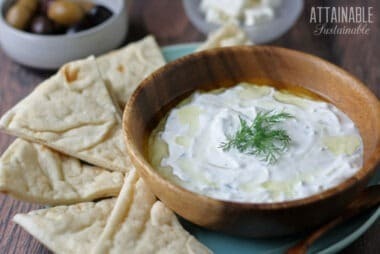 Alternate adding sour cream and dry ingredients until all are mixed into batter. Add in the rhubarb and fold into batter until well combined. Pour into baking dish and spread evenly. The batter will be thick, but don't worry, the rhubarb makes this cake nice and moist. Lightly sprinkle with a touch of sugar. Bake for 40-50 minutes, until the top is golden brown and a toothpick comes out clean. Jessica loves to learn and share about natural living, from whole foods to herbal remedies. Jessica started her blog Simply Healthy Home to share her family’s journey to being healthy and happy. 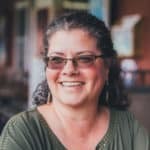 You can follow her on Facebook, Pinterest and Instagram. This recipe was originally published in June, 2015. This is a good reason to grow rhubarb! Thanks I have rhubarb and all I make jam. 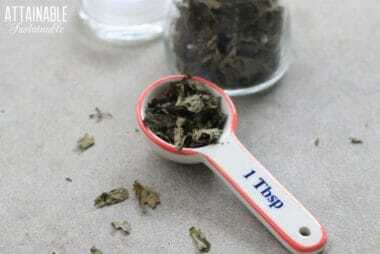 This recipe I will try and see how does taste. We all learn from everybody news recipes etc.